McAuley High School will become Mercy McAuley High. Two all-girl Catholic high schools are merging. 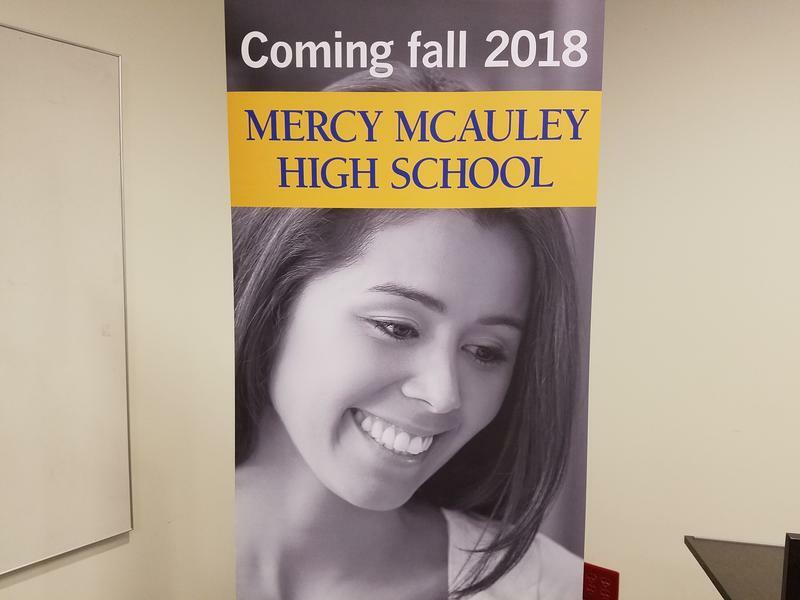 Sisters of Mercy says Mother of Mercy and McAuley high schools will become Mercy McAuley High beginning with the 2018-2019 school year. The blended school will be housed at the current McAuley campus in College Hill. Sisters of Mercy - South Central Community, which operates both schools, says the decision is based on decreasing enrollments. "A declining pool of potential students is impacting enrollment now and will continue to do so in the future. This is a situation affecting Catholic schools nationwide, as well as here in Cincinnati," says Sister Jane Hotstream, president of the Sisters of Mercy. Mercy current has 495 students, McAuley has 468. The sisters say current financial aid packages will remain in place and will transfer to the new school. All current ninth and tenth graders will be able to attend the new school, according to the sisters. "We recognize this change is difficult and emotional for the communities of Mother of Mercy and of McAuley, and we understand that everyone who loves these schools - especially the girls - will need our understanding and support in the days and weeks to come," says Sister Jane. She says there were a lot of tears during assemblies at both schools Thursday morning. "This is a sad moment. These are young women ages 14 to 17-years-old. I tried to tell them their Mercy education is intact. It's just for the sophomores, the last two years will be at a new school. It's the same Mercy education; we think it's going to be even better." It's unclear how many teaching positions will be affected. The release says staffing at the new school "will be based on student needs. It's too soon for us to know what those staffing requirements will be." Sister Jane says Mercy McAuley is being treated as a brand new school so all staff members must reapply for their jobs. McAuley was chosen because it is the newer of the two buildings. The Sisters say the Mercy building, "although beautiful, is more than 100 years old and needs significant improvements." The sisters say the current McAuley building can hold around 800 students. The Archdiocese of Cincinnati released a statement supporting the sisters' decision. "This decision assures that a strong Catholic education in Sisters of Mercy tradition will continue to be available to young women on the western side of Cincinnati," says Director of Educational Services - Superintendent of Catholic Schools Susan Gibbons. Decisions about a new principal, president, a new mascot and school colors have not been made. Sister Jane says students will be invited to help develop the new curriculum and with choosing school colors, etc. Face-to-face meetings with parents an students according to grade level beginning Mon., March 6, at each school. The Mercy McAuley Hotline staffed by Cincinnati Sisters of Mercy. The number is 513-354-5054 and will operate Fri., March 3 as well as Mon., March 6 through Fri. March 10, from 9 a.m.-6 p.m.
An email box, MercyMcAuleyHS@mercysc.org, where people may leave questions or comments 24 hours a day, starting immediately.